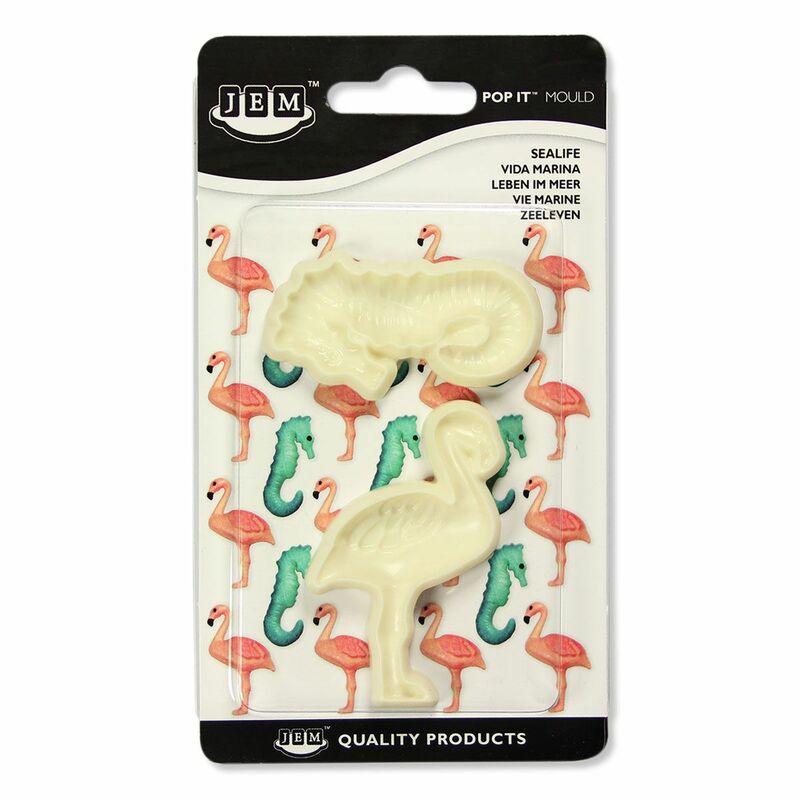 Decorate your cakes, cupcakes, donuts and more with fun sea horses and flamingos! 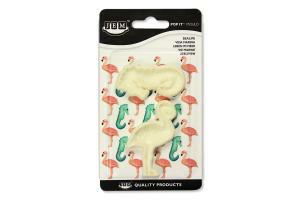 With the JEM pop it cutter set you can make decorations of fondant, modelling paste and fondant. How to use the cutter: Insert cutter into the JEM Pop It Pad. Place rolled out fondant over it, roll over with a rolling pin to cut out the shape. Press fingers into paste to emboss details. Remover from cutter and dry. Size sea horse: approx. 27 x 55 mm. Size flamingo: approx. 42 x 65 mm. Content: 2 cutters. Eine Nachricht bei Änderungen zu JEM POP IT SEA LIFE SET 2-TEILIG versenden.